All deliveries within South Africa are done via our couriers and on a “Door to Door” basis. The delivery charge of R60.00 is applicable to all orders of less than R199.00. Orders of R199.00 or more, to any destination within the country are absolutely free. Deliveries within Gauteng are done within 24 hours (weekends excluded). Deliveries to the rest of the country might take more than 24 hours. Delivery of an order paid via EFT takes place only when payment is received (an EFT payment might take a couple of days to reflect into our account). All international deliveries are processed by UTI’s Global Mail Services. These deliveries are not on a “Door to Door” basis – the delivery channel ultimately is your country’s post office. For international deliveries, we suggest you to use – when available – a Post Box address and not a physical address. International deliveries might take more than 7 working days (depending on the destination). Your order’s delivery cost gets automatically calculated within the “check out” page. The delivery process gets initiated as soon as payment is reflected (all electronic payments reflect same day). 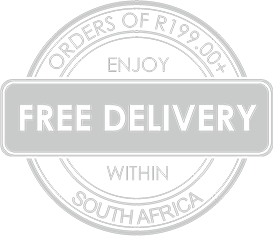 For deliveries within South Africa, the delivery address cannot be a Post Box address. It can only be physical address. We advise you to please visit the following pages “our return policy”, “methods of payment” and “your private information” prior to placing an order. Do not hesitate to contact us (by calling or emailing us) regarding any further information you might need, related to our products & the delivery service we offer. The following general or specific conditions of sale apply to all business relations between Mostra Di Cafe (Pty) Ltd. as the sole owner & operator of www.mostradicafe.co.za and any customer purchasing products via this electronic platform, as defined at the time of conclusion of such purchase. You are not obliged to purchase any product by placing it in your cart. You are only obliged to such purchase & automatically agree with our company’s terms and conditions, once you click on the “Buy/Purchase” button within the “shopping cart” page. We confirm receipt of your order electronically (via email) and automatically (once you’ve concluded your purchasing process). Another way of confirming receipt of your order is by initiating the delivery process. It is your responsibility to verify the quantity and condition of the goods you’ve ordered upon delivery. In case you observe damage or missing items, you must notify and file claim with the delivering courier or post office branch and inform Mostra Di Cafe (Pty) Ltd. within 7 days after delivery. In such case, Mostra Di Cafe (Pty) Ltd. after investigating and confirming the incident (a process that will not take more than 7 working days), will re-send you the product(s) in question. All product prices are valid at the time ordering. The time period of a possible limited offers can be found where they are illustrated within the Website. All prices include tax but exclude delivery costs (for the destinations delivery costs are applicable). Mostra Di Cafe (Pty) Ltd. will deliver the products ordered, to the address provided by the customer. All products ordered, shall remain property of Mostra Di Cafe (Pty) Ltd. until complete payment is received. All though Mostra Di Cafe (Pty) Ltd. accepts a variety of payment methods, we retain the right only to accept certain payment methods in some cases. Cash or cheque payments are not accepted and please note that we do not accept liability for any losses. All our sales terms & conditions shall be governed by the law of the Republic of South Africa. You have the right to cancel your order by sending us a letter or an e-mail to this affect, or by simply returning any product that does not suit you, within 7 days after receiving your order. Mostra Di Cafe (Pty) Ltd. will accept returns of products in their original condition and packaging accompanied by the relevant invoice. When we receive such return, we will reimburse the price of the returned product (but not the relevant delivery charges) within a maximum of 30 days. All refunds will be made in the form of the original payment. Mostra Di Cafe (Pty) Ltd.
You have the right to cancel or return an order as a consumer but please keep in mind that in such case you shall bear the costs of delivery & return delivery – if you choose to cancel prior to you receiving the order or the cost of return delivery – if you choose to cancel the order after receiving it. Mostra Di Cafe (Pty) Ltd. will bear the costs of the return delivery in all cases when the wrong product was delivered. Mostra Di Cafe (Pty) Ltd. accepts credit and debit card payments using Visa, MasterCard, American Express, Discover, Diner’s Club and JCB. We also accept payments via PayPal. All our credit / debit card payments are handled by PayFast using encrypted forms by SSL for data transfers. This highly secured method is safe and secure. Your credit/debit card will be charged once you complete your order and check out. EFT’s and direct bank transfer are also another way simple and secure way of making payments to us. Just make sure to quote your order number when making such payments to avoid any delays. There is no additional sales tax charged on our products. Sales Tax is included in the indicated price. We are aware that it is very important to everyone that his/her personal data is treated with care. Be 100% sure that Mostra Di Cafe (Pty) Ltd. will never share your personal information with any third party. In other words, we will not sell or rent your personal data to third parties for marketing purposes without your express permission. When placing an order, we require your correct name, address and payment details as well as your email address so that we can confirm receipt of your order and communicate with you. We also use this to identify you (customer login). In addition, we use your email address to send you order and shipping confirmation emails. We use the data provided by you without your explicit consent exclusively for fulfilling and processing your order. Your data will be disclosed to the delivering company responsible for the delivery as far as this is necessary for the delivery of your order. For the settlement of payments we disclose your payment details to the relevant banking institution. Your personal data are transferred securely when you place an order with us. All data transferred during the order process are transferred using 128 bit SSL (Secure Socket Layer) encryption.